Crush together pepper corns, chilli flakes and salt in a pestal and mortar and mix into the flour Slice the squid down one side so that it lies flat and score on the inside into diamond pattern. Cut into bite sized pieces and coat in flour and turmeric. 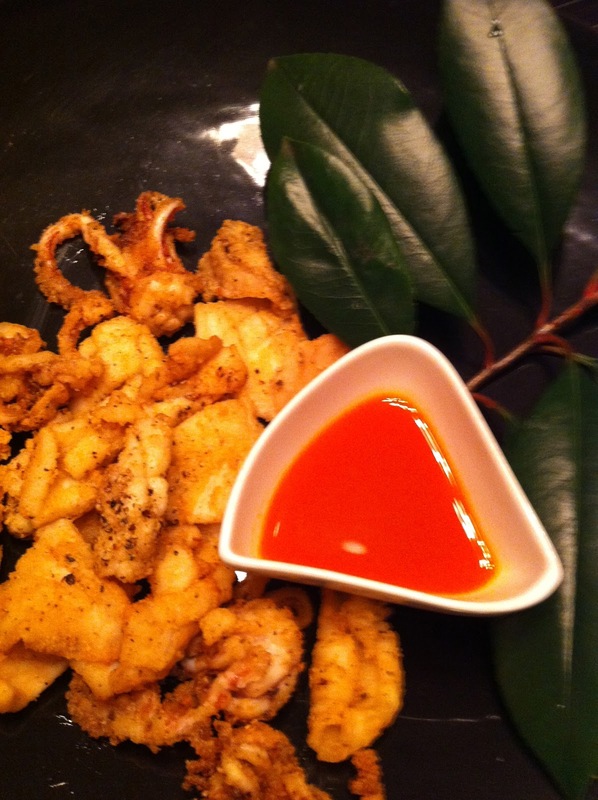 (The turmeric will help turn the deep fried squid into a beautiful golden colour) Heat the oil (To test a pice of bread should go golden brown in 30 seconds) Shake off excess flour and deep fry until golden - about 1 - 2 minutes. Serve with a wedge of lemon and your favourite dip.